not visible to the street. Strictly no Neighbour Fence visible to the street. Please ensure only Feature Fences face the street and visible public areas. 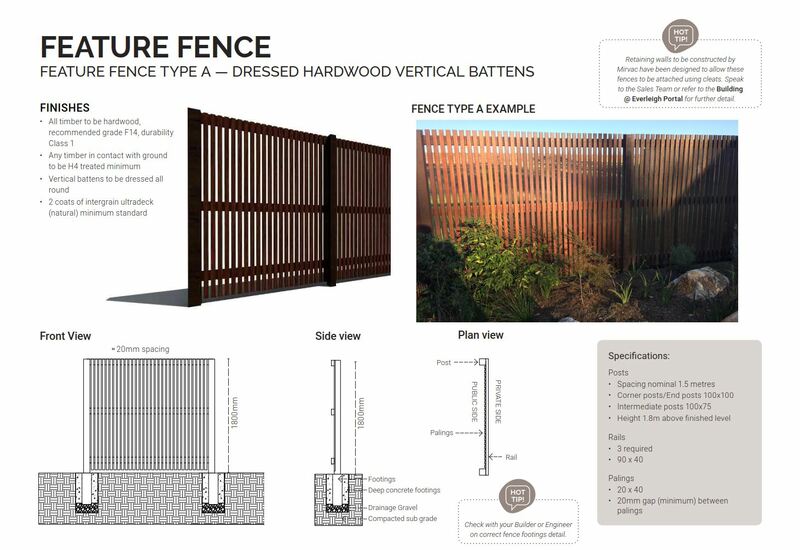 Please take care to read further on Fencing in the Everleigh Residential Design Standards & Guidelines. Neighbour Fence must only be built as the side and rear fence between you and your neighbour's property. The Neighbour Fence must always remain behind the Feature Fence and must not be visible to the street. You will need to coordinate with your adjoining neighbours to arrange the side and rear fencing to your block. Due to privacy reasons, we can’t give you your neighbours details directly. We can however facilitate the introduction by sending an email on your behalf, requesting they get in touch to coordinate fencing arrangements. Please contact the Everleigh Settlements Team on everleigh@mivac.com with your best contact details and the lots you wish to get in touch with. 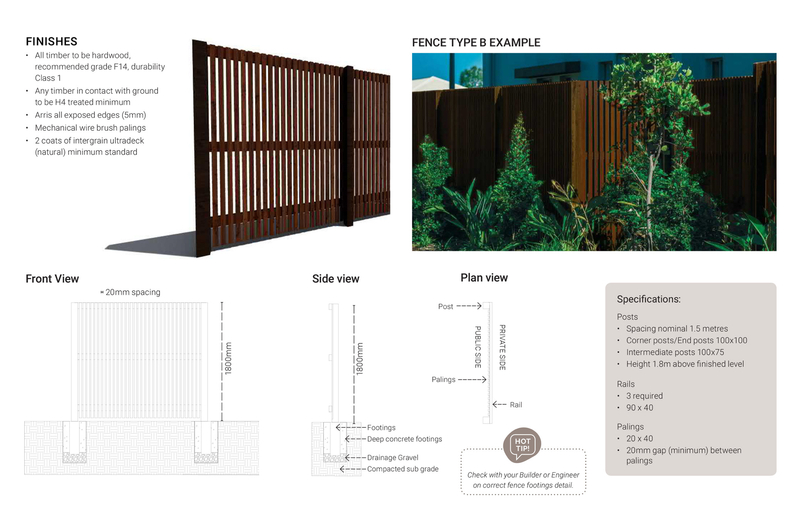 Feature Fence acts as the side gate/ fencing that faces both the Primary/ Secondary street. This fence should screen any Neighbour Fence from public view. 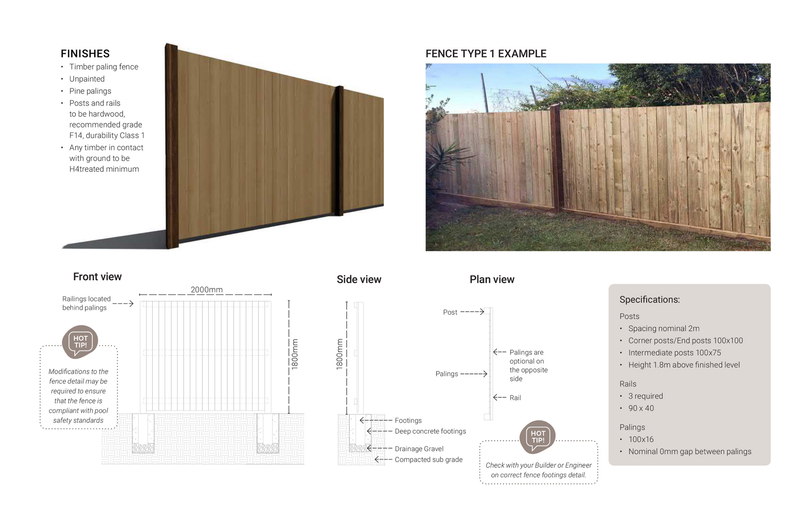 Feature Fence acts as the side gate/ fencing that faces both the Primary/ Secondary street. This fence should screen and Neighbour Fence from public view. 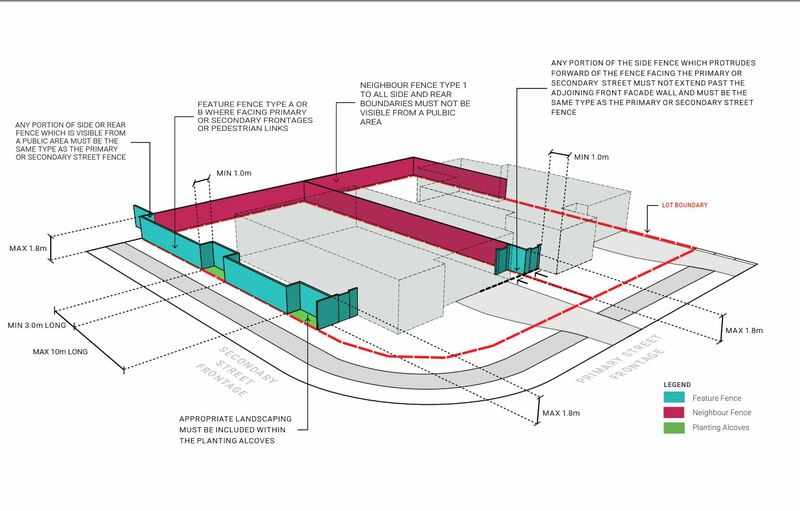 Please find a visual example of the correct fence locations for both a Primary & Secondary (corner) facing lot.